Made with fresh air and sunshine! 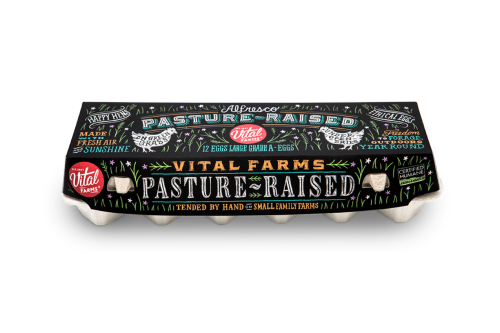 All Vital Farm eggs come from pasture-raised hens. 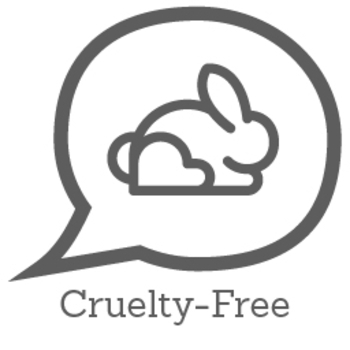 They start with natural pastures – pastures which are never treated with herbicides, pesticides or artificial fertilizers – and regularly rotate them to keep them fresh and healthy. Of course, the natural fertilizer the ladies the leave behind certainly helps! The girls are free to roam and forage as much as they like – the barn open doors in the morning, and out they all go! There’s plenty of shade out on the pastures, and a ready supply of both clean, fresh water and our carefully formulated supplemental feed, but they’re free to come and go from the barn, and free to eat what they want, all day long. 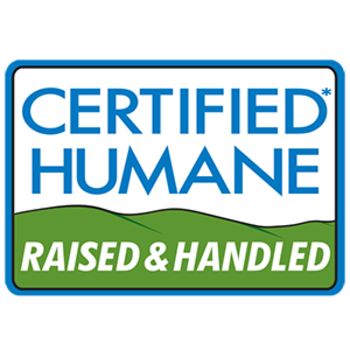 Every one of Vital Farms' farms follows the same Certified Humane® pasture-raised standards, so the only real difference between the different labels is whether it Certified Organic, NonGMO Project Verified, or neither. The shields you see on the cartons, will tell you which it is. Great eggs and great brand, but honestly I did not think it was different somehow. At least they did not taste or looked different than any other eggs. If I buy eggs from a local farmer, heck I do notice the difference, but not with these. So, I would not waste my money if I am not rich. They were very good. Taste great and most definitely worth the money to know the chickens are cared for and raised right. I will definitely purchase these again. Incredibly delicious and even better yet knowing how much healthier this product was compared to others on the market. By far the "freshest" tasting eggs I have had before!! I use my free coupon for my sample at walmart and the price is a little high but the eggs was really good and worth it. I'm going to get them again.